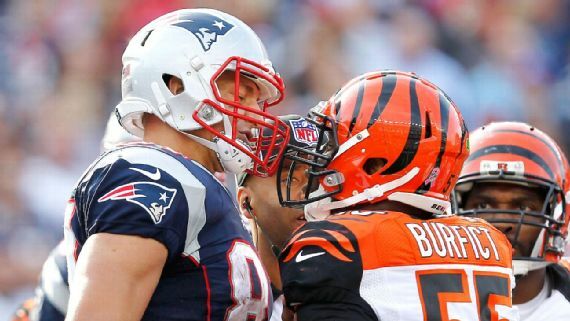 Bengals linebacker Vontaze Burfict has been fined $75,000 by the NFL for stepping on LeGarrette Blount during the Patriots' 35-17 win over Cincinnati last Sunday. Burfict also went low on Martellus Bennett, but isn't being disciplined for that hit. Burfict has already appealed, according to NFL.com.